Recent work on empathy theory, research, and applications, by scholars from disciplines ranging from neuroscience to psychoanalysis. There are many reasons for scholars to investigate empathy. Empathy plays a crucial role in human social interaction at all stages of life; it is thought to help motivate positive social behavior, inhibit aggression, and provide the affective and motivational bases for moral development; it is a necessary component of psychotherapy and patient-physician interactions. This volume covers a wide range of topics in empathy theory, research, and applications, helping to integrate perspectives as varied as anthropology and neuroscience. 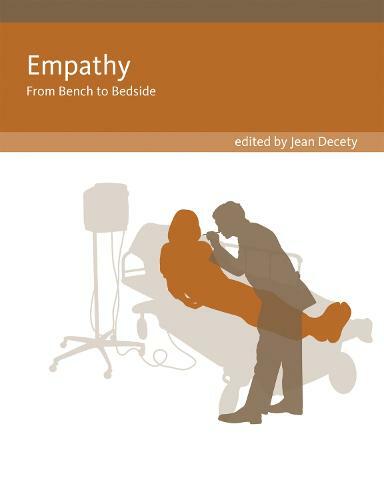 The contributors discuss the evolution of empathy within the mammalian brain and the development of empathy in infants and children; the relationships among empathy, social behavior, compassion, and altruism; the neural underpinnings of empathy; cognitive versus emotional empathy in clinical practice; and the cost of empathy. Taken together, the contributions significantly broaden the interdisciplinary scope of empathy studies, reporting on current knowledge of the evolutionary, social, developmental, cognitive, and neurobiological aspects of empathy and linking this capacity to human communication, including in clinical practice and medical education.